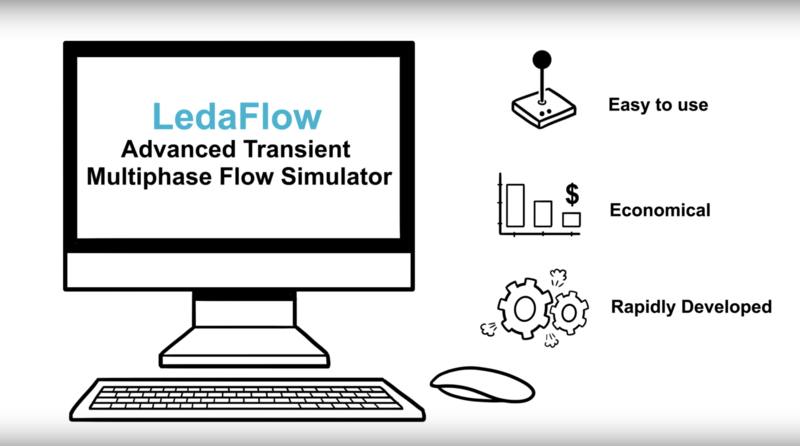 LedaFlow Engineering 1D is a standalone engineering tool for transient multiphase flow simulation studies of oil, water and gas in wells and pipelines. It is a complete simulator used by Flow Assurance, Process, Production and Reservoir Engineers through the project life cycle to address gas/liquid, thermal, solid and integrity challenges. The ability to simulate transient or time dependent behaviour means that the operability of the production system can be better understood to ensure a successful design and to maximise production from existing operations. The LedaFlow Point Model is the steady-state plug-in solution for a single location in a well or flowline. This mechanistic model is used to provide initial conditions for transient multiphase flow modelling and make it available to third parties including their steady-state simulation software.